We're finally back from vacation and I've been looking for some good Fall recipes. This time of the year, I like to cook with the cool-weather veggies like pumpkin and squash. For our family, these are harder vegetables for me to incorporate into the meals since our kids aren't crazy about the taste. I also found some soup recipes that are great for the winter months as well. And, by the way, I didn't forget to include a very important aspect of fall weather - bone broth!!! Bone broth puts the pizzazz in soup!!! Anyway, let's move on where you can enjoy these recipes as well. Susannah at HealthyGreenSavvy is great with cooking Spaghetti Squash!! Her Spaghetti Squash Yakisoba is amazing!! It's completely gluten-free!!! Oh, and did you know that you can roast Squash seeds? Yep, they're edible!! She has a lot more tasty ideas right here. Oh, and talking about pumpkins - did you know there are dozens and dozens of things you can make with pumpkin? 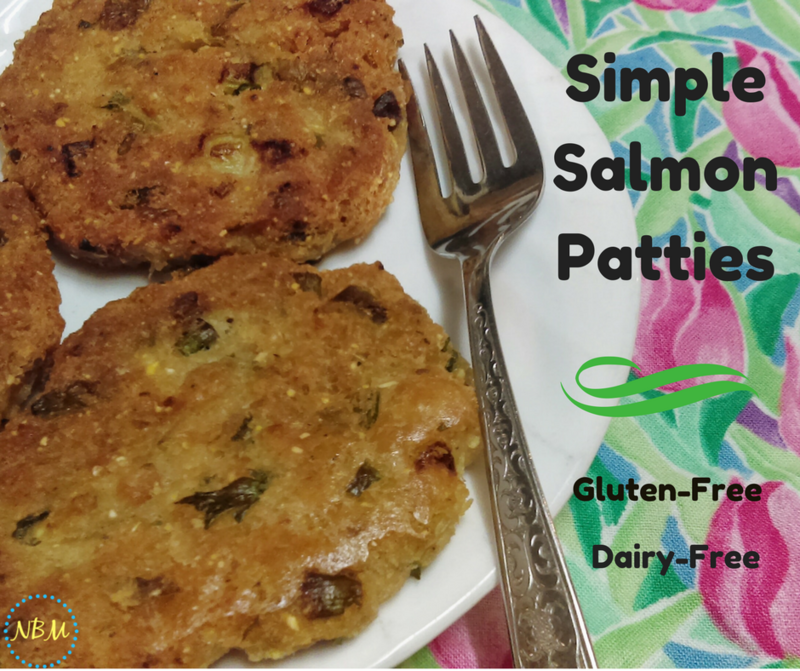 Susannah at HealthyGreenSavvy shares 75 different recipes for using pumpkin. Did you know you can make cheese and fudge from a pumpkin? Yes, it sounds crazy but it can be done. And, for those of us who can't eat cheese or dairy, this is great!!! It's totally vegan so it's perfect!! There's too many recipes to list so you'll have to check out the rest of the recipes here at HeathyGreenSavvy. On top of that, I found a great recipe for Sausage Kale Soup. It includes potatoes as well. Kale is so healthy for us that I like to incorporate it into a lot of foods I cook during the winter. It's a great way to encourage our kids to eat healthy. This way they don't have to eat straight Kale - Kale Chips. If it's mixed up in soup with a few other ingredients it's much easier for them them to eat. 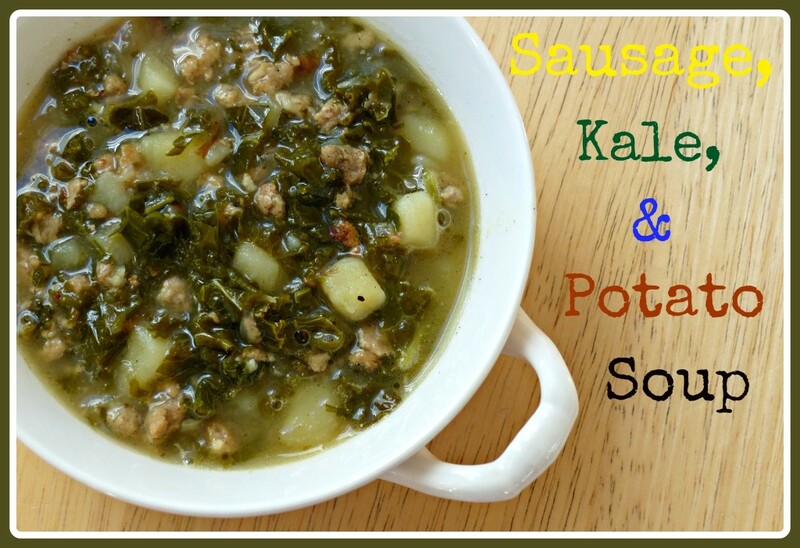 Meghan Slocum at WholeNaturalLife prepares it perfectly with this tasty Sausage Kale Soup. Another soup our kids love is Bone Broth Soup. It's not winter without a little bit of Chicken Noodle Soup!!! 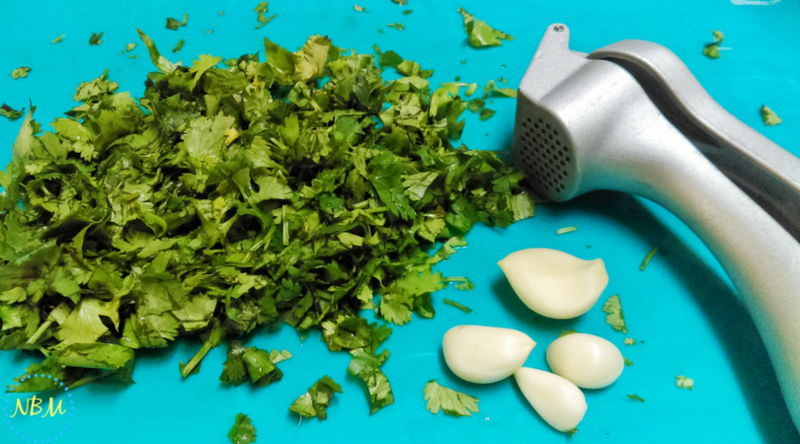 Plus, this type of soup is great for anyone that has a cold or has been sick. We found that Bone Broth is wonderful in healing the digestive tract- especially those who have a Leaky Gut. 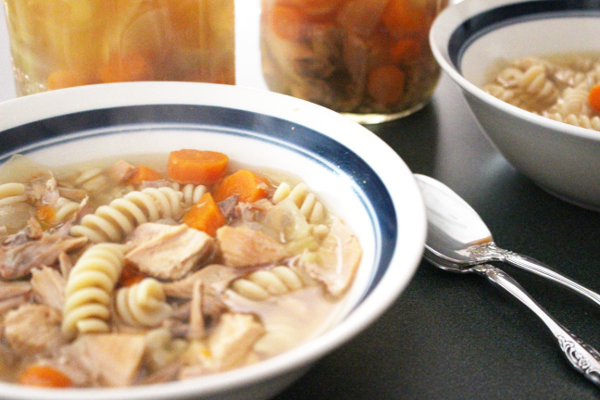 Victoria from A Modern Homestead shares her Chicken Soup recipe. She also includes her canning instructions so you can enjoy soup throughout the winter. And then, top it all off, I added a bit of a dessert - Cinnamon Sweet Potatoes!!! 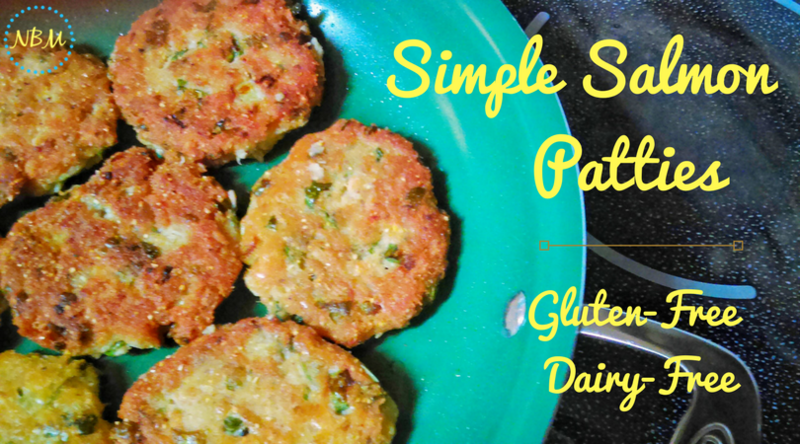 Most kids loves these and they're so easy to throw together!! Even adults like them and they're so healthy - everybody can eat them!! 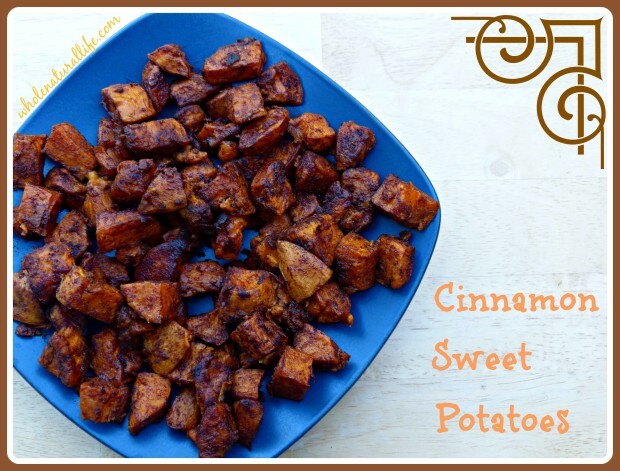 Meghan from Whole Natural Life shares with us this simple yet delicious Cinnamon Sweet Potato recipe. I'm so excited about these new ways of cooking with Spaghetti Squash and Pumpkin. 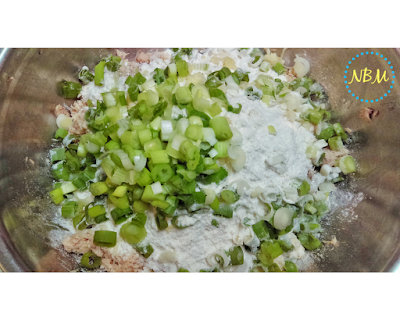 It's so much fun trying new recipes that help our families stay healthy - especially during the fall and winter seasons. I hope they help ease some of the stress of searching for recipes that are allergy-friendly. These are some of the best cooks I've found and they have such a passion for helping others make healthy choices for their families. I hope you enjoy cooking these meals!!! Have fun!!! 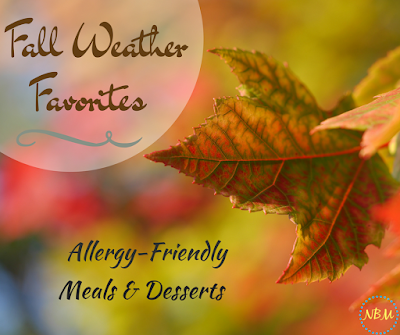 What is your favorite meal to cook during the fall/winter? Do you like cooking with Pumpkin and Squash? 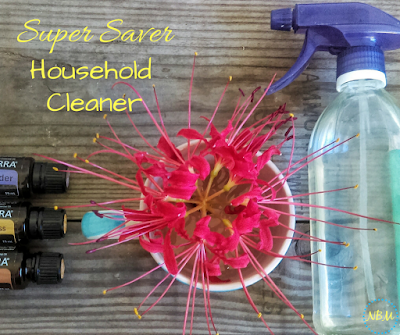 To go along with the Super Saver Sprayer, I have to tell you what I use for my Super Saver Household Cleaner. I couldn't just let you go with just making the sprayer without telling you what I use to fill it. hehe That's the only fair thing to do, right??? It all started several years ago, when I realized that I began to get really bad reactions every time I would clean - especially the bathroom. First, I would get a slight headache ----- next would come dizziness ----- and then I would have major trouble breathing!!! It freaked me out!!! The headache and dizziness - I could handle. But, oh boy, when I couldn't breathe - that sent me over the top!!!! The next best thing I tried was Lemon. I love that fresh, clean scent!!! Everybody can handle lemon - or at least I think so. Lemon is my "go to" oil. It has so many great properties. It's great for viruses and fungus. I love to use it on my countertops as an antiseptic - killing those nasty germs!! I also like to use Orange oil since I love the wonderful scent. The house smells so clean and uplifting with the smell of orange wafting through all the rooms. This one is great to use for the holidays! So, my base oil is always Tea Tree Oil since it is naturally antibacterial, antifungal, and antiviral. This one can be used for tons of things. Even insects don't like it!! So, you can say good-bye to any pests when you use Tea Tree Oil. That's just a bonus!! hehe That's why I use it so much - even though it stinks! But, to cover up its horrible smell - I throw in some Lemon or Orange oil which calms down the Tea Tree oil scent. Now, everyone is happy!!! So, to put it all together - you will need your Super Saver Sprayer. Then, fill half the bottle with vinegar. You can use white vinegar or apple cider vinegar whichever you like best. I prefer white; I think it smells a bit better. But, that's totally my opinion. I fill up the rest of the bottle with water. It can be tap water or filtered. Now comes the good part!!! This is when you can have fun!!! 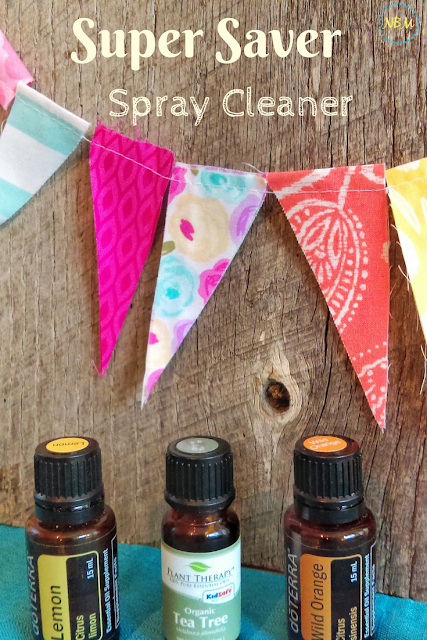 For disinfecting and cleaning, I put in about 20 drops each of Tea Tree Oil and Lemon. I always keep those two oils on hand. But, if you want to have fun - you can use Orange oil in place of the Lemon. You can also substitute Clove Oil and Cinnamon Oil instead of Tea Tree Oil. I love doing this around the holidays where the house will smell like pumpkin pie!!!! This is how you want to make your cleaner - always have some form of a disinfectant and antibacterial agent in it and then work from there. It's basically a 1 to 1 ratio and then add your supporting oils. 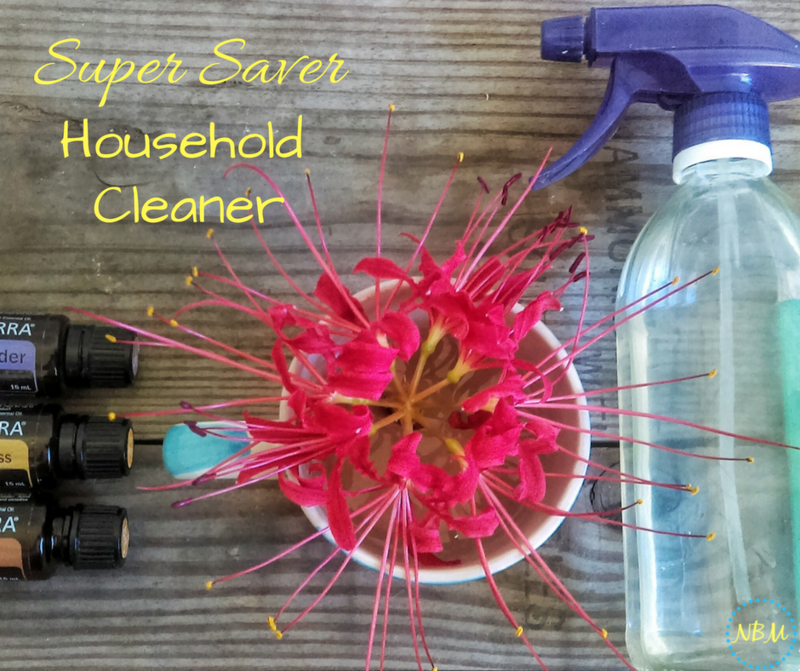 This cleaning solution takes the place of your multi-purpose chemical cleaners. 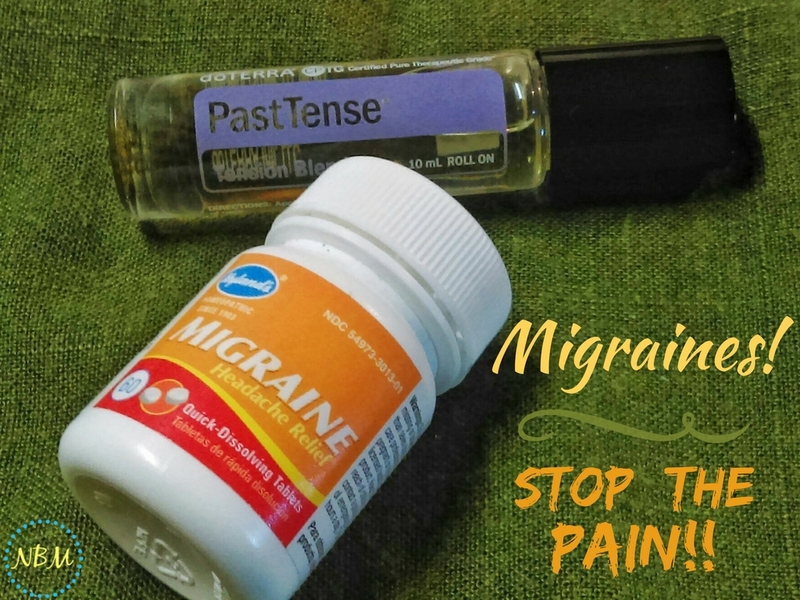 So, more headaches - no more dizziness and definitely no more breathing problems!!! I love it!!! I'm don't dread cleaning anymore!!! It's wonderful!!! I hope you enjoy this as much as I did!!! Happy cleaning!!!! 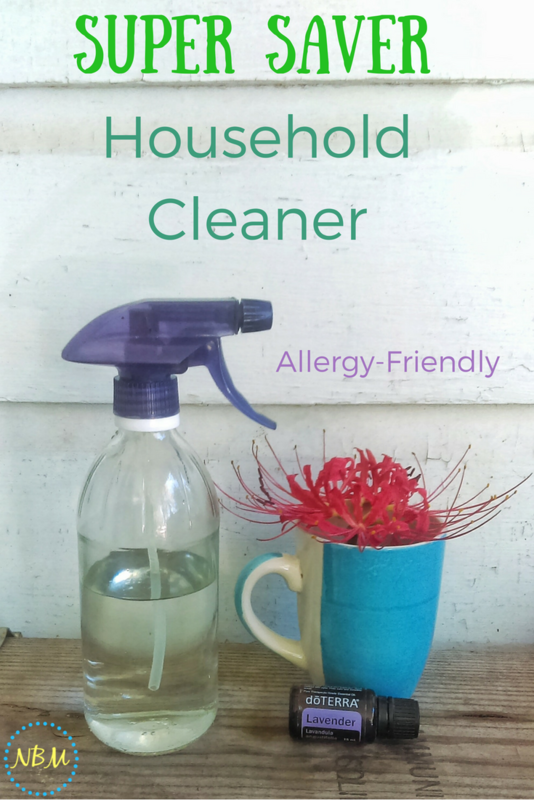 Do you have trouble breathing when you use chemical cleaners? How about headaches or dizziness? 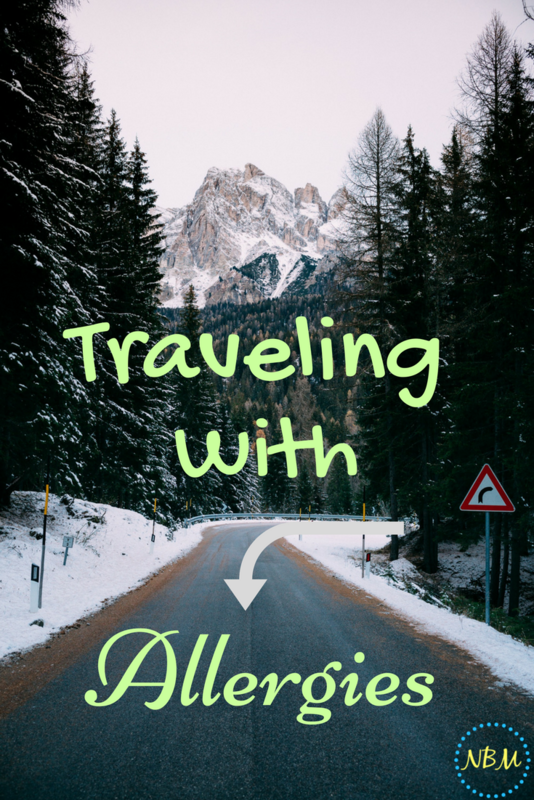 Which oils do are your favorite?? 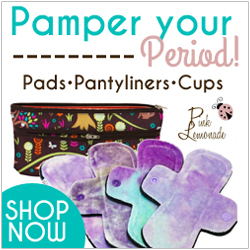 Check out my Natural Living + Natural DIY Pinterest board for more recipes.